Discussion in 'iPhone and iPad Games' started by BrokenBunnyStudios, Apr 22, 2016. A beautiful pure danmaku or bullet hell . In this challenging game go up against a barrage of enemy ships after finding your home world destroyed. Compete against others for the world record high score. 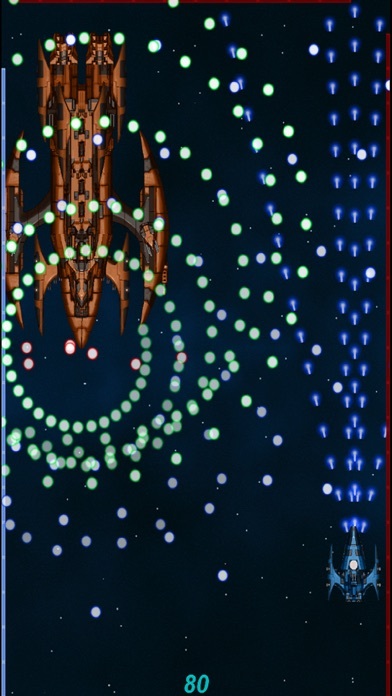 -Fly your ship between thousands of enemy attacks in 8 beautiful levels -Power ups allow more guns and faster shooting -Shields to protect you from some of the worst attacks. HOW TO PLAY Game has two play modes "Drag type"- best for small devices- Moves your ship relative to your touch. "D-Pad"-Best for tablets- Creates a joystick in a location of your choice. EMP - Double tap to launch an EMP attack when attack bar turns red. EMP will destroy all enemy attacks currently in play. Been thinking of adding a Level select so you can skip back to your last played level.